If all things go to plan, as of July 1, 2018, legal-aged Canadians will be able to walk into a store, experience a perhaps not-so-friendly retail environment and buy cannabis. Federal and provincial government leaders are working out how and in what form you will be able to buy it. Edible items containing cannabis (“edibles”) are prepared food products, such as cakes, muffins, candy and drinks. This category also includes the possibility of purchasing a restaurant meal that contains cannabis. 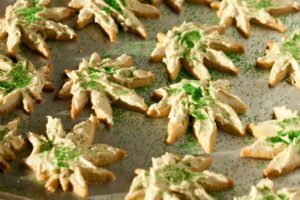 Edibles initially were to be banned under Bill C-45, the act to legalize the recreational use of marijuana, but this was recently amended to allow these goods. This will take place one year after regular cannabis is legalized in Canada. So it seems Ottawa has changed its mind and, arguably, for some good reasons. First, if the retail price point of legalized cannabis remains unknown, the black market could expand. As a result, edibles could become more readily available to the public, which is less desirable. By allowing edibles on the market, oversight regarding quality, safety, dosage, packaging, labelling and other important aspects of food distribution is more plausible. Secondly, until just recently, legislation stated that the only form of cannabis available for purchase would be dried plant material for smoking and that edible products would, for the time being, be banned. Most experts agree that ingesting cannabis is better than smoking it. Not allowing edibles would have sent the wrong message to the public, possibly inviting many consumers to consider the black market for a healthier choice. Meanwhile, Health Canada is informing Canadians that edibles are the only form of safe cannabis consumption. This would have made the whole thing quite awkward for the government. Thirdly, of course, are the various types of products which could cause harm to children. Food innovation, free of any regulatory framework, can lead to a mess. This is what the state of Colorado went through in 2014 when it legalized marijuana. Child-friendly food products could become more common, exposing children to harmful products. Candies, gummy bears, suckers and drinks, are forms of edibles that are already being produced and which are very attractive to children. A recent study from Dalhousie University shows that almost 60 per cent of Canadians are concerned about the access children will have to cannabis come July, 2018. That same study also showed that 46 per cent of Canadians would try cannabis-infused food products, if they became available on the market. The temptation clearly exists among consumers. Most, driven by curiosity, will likely try to purchase products on the black market. The banning of edible cannabis products was plainly shortsighted. Canada has a well-established food processing and food-retail industry. These industries, whether food manufacturers or restaurants, are not only accustomed to producing consistent, high-quality products but also used to following phytosanitary and food-safety regulations. It should be of little challenge for them to create and deliver safe and quality assured cannabis, as long as regulations are clear and predictable. They are just waiting for the official government go-ahead to capitalize on what is considered by many to be a highly lucrative market. It is not going to happen any time soon, but allowing edibles will give a chance for the market to adapt to and manage a potential cascade of cannabis-infused food products. Much work remains, but it will all be worth it and is something the Canadian public deserves. Giving edibles more attention in the legislation is good news for everyone.